Smile Lite is a new system for opening and reclosing 100% PET recyclable plastic tray tops,. 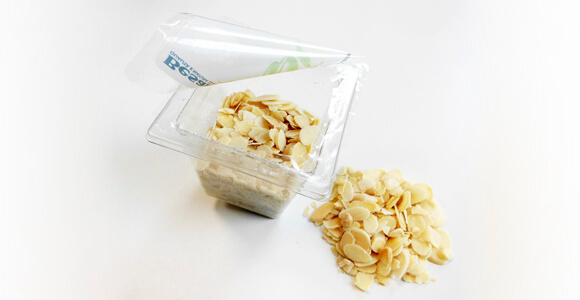 Made with the collaboration of dried fruit sector leader Bioplast Besana, it is composed of two polyester film layers, which are separated during the opening; it combines the function of a peelable film and a reclosable lid in a single solution, allowing the consumption of 7 times less plastic compared to the standard solution with lid. The bottom layer of the film remains welded to the tray serving as the inner edge, and a special adhesive guarantees the reclosing for several dozens of times, thus preventing food waste due to the deterioration of the product after opening the pack.